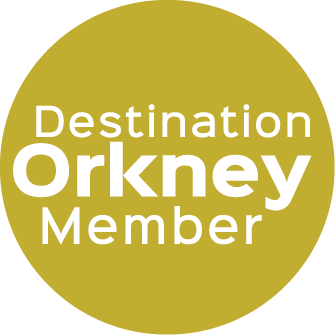 A warm Orcadian welcome awaits you at Orkney Villas where we have a range of high quality, spacious, self catering apartments located a short walk from the main town centre of Kirkwall. 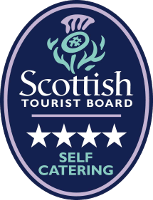 Our Kirkwall apartments (The Lodge, The Steading and The Courtyard) have all achieved a Scottish Tourist Board four star rating and their location provides you with the opportunity to walk along the waterfront and enjoy beautiful views over Kirkwall Bay. There is free parking on-site, bike storage facilities and guests are welcome to stroll around the adjacent gardens. All of our apartments offer comfortable, spacious, fully equipped accommodation with all linens and utilities included. The Lodge has one Kingsize Double room with an en-suite power shower whilst The Steading has one Kingsize Double / Twin Room with an adjacent bathroom which is fitted with a shower/spa-bath. Both of these apartments are single storey and were part of an original Victorian Steading which has been fully refurbished. The Courtyard is two-storey and has two Kingsize bedrooms (1 Double and 1 Twin) located on the ground floor which share access to a 'Jack and Jill' style en-suite sauna and shower-room. An 1880's spiral staircase then leads you up to the luxuriously equipped dining-kitchen and separate lounge. The elevated lounge allows you to experience captivating sea views and the beauty of an Orkney sunset.